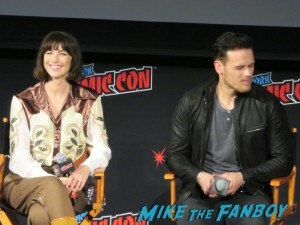 Home / Conventions • Outlander • Panels • Signings and Cons • The Lovely Erica • TV Heartbeat / Outlander season 4 premiere screening and Q&A with the cast at NYCC 2018! 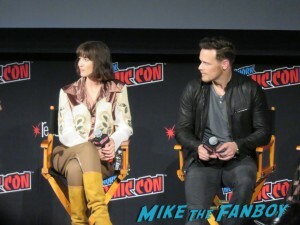 Outlander takes over Madison Square Garden! 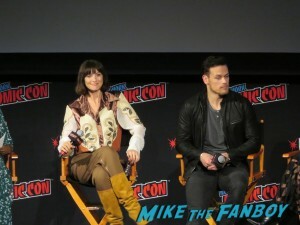 Outlander season 4 premiere screening and Q&A with the cast at NYCC 2018! 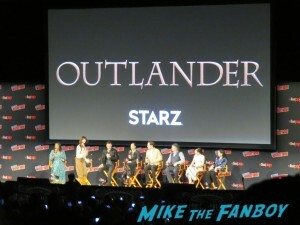 Outlander takes over Madison Square Garden! 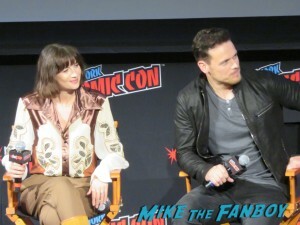 Outlander took over the Theater at Madison Square Garden at New York Comic Con for a special screening of the season 4 premiere episode and a chat with the cast! 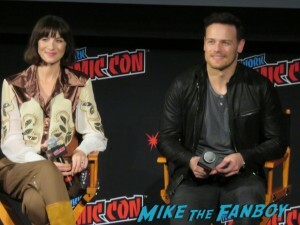 Here’s my photo gallery and a quick recap of some of the conversation before the November 4th premiere on Starz! 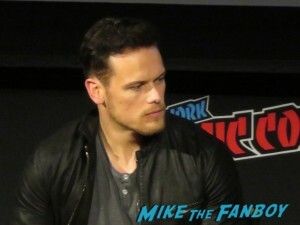 Outlander invaded NYCC with a busy booth that recreates some of the set pieces from Fraser’s Ridge. 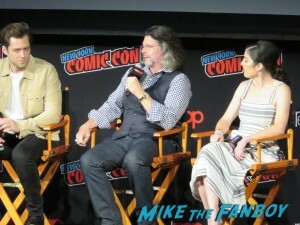 The other major event was a 90 minute panel which is a really strong hint that they will screen the season 4 premiere episode. Yeah! Starz released the season 4 opening credits sequence, updated with visuals and orchestrations for the new season so here’s a taste of what’s to come. I’m not quite sure why there was such a delay, but they didn’t seat us until after the introduction and the opening credits starting rolling. (Sigh) Ever try to find seats in a pitch dark theater while keeping an eye on the screen? Basically I grabbed whatever seat we could find which was roughly the back half of the theater. This was my view without any zoom. 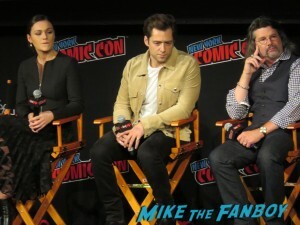 As you may see, there was a lack of red hair on the panel! 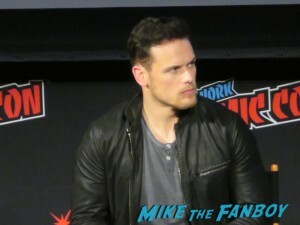 Sam Heughan is in the middle of filming a movie so he’s not sporting Jamie hair. If you scroll down you can see his sleek new look (which suits him quite well). 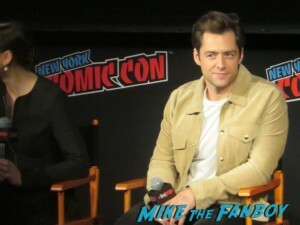 Diana: (To the audience) Thank you all for laughing at the lines from the book! 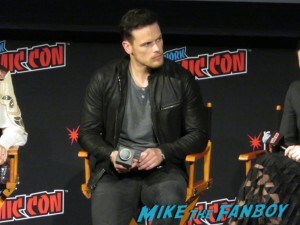 Sam: (Sings the James Bond theme when a fan suggests that he should be the next James Bond) Call me Moneypenny. Ron: (On discussing modern politics) We don’t mean to use this as a platform, but look at the world we live in. To quote former President Obama, the arc of history bends towards progress. Yeah! 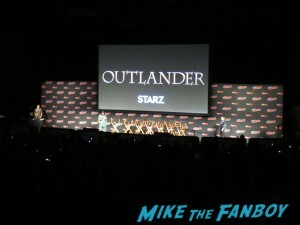 More Outlander for years to come! In the meantime, here’s a photo gallery to tide you over until November 4! 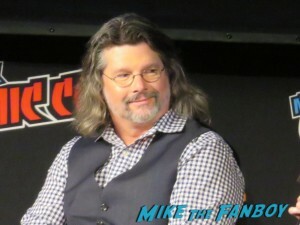 [FINAL UPDATE] NYCC Signings and Exclusives! Ash vs Evil Dead signing! More booth updates! TV Heartbeat! 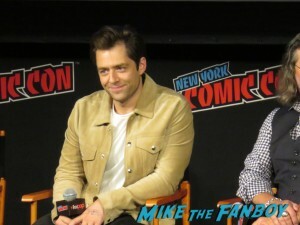 Into the Badlands and Chicago Med debuts! Farewell TBX! New Fox Limited Edition San Diego Comic Con Posters Are Out! 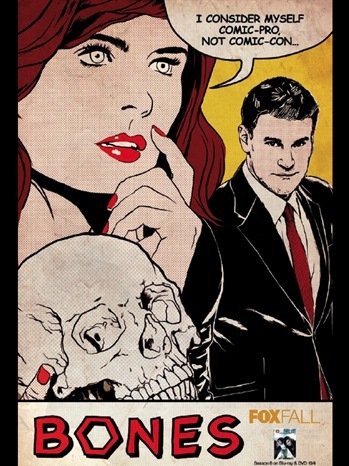 Bones! 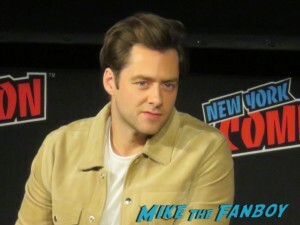 Fringe! Family Guy! American Dad! Terra Nova! Comic Con Exclusives! 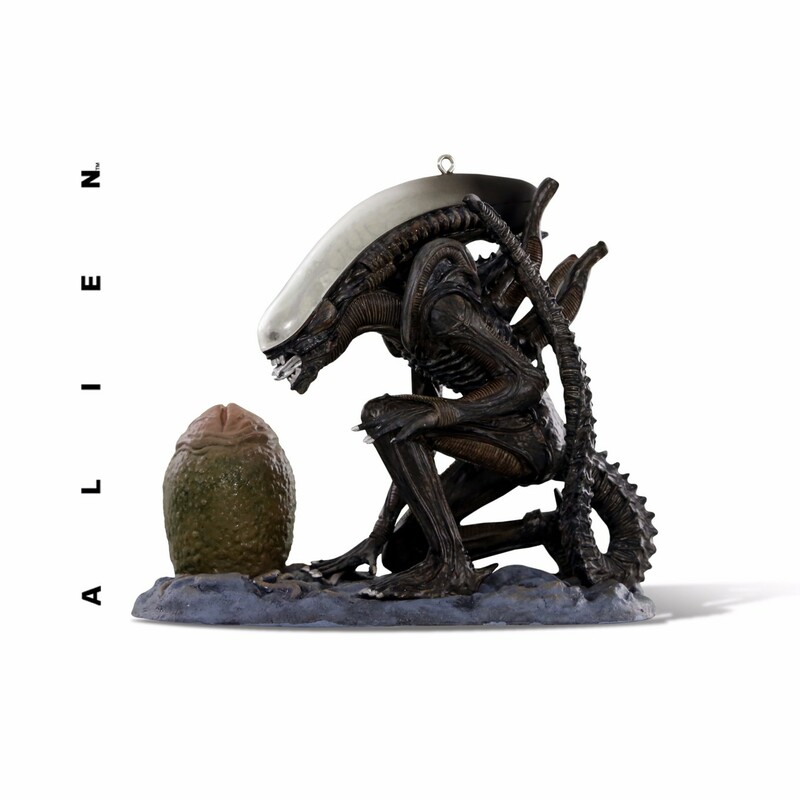 Hallmark Reveals Their SDCC Ornaments! Alien! Star Wars! Batman! And More!